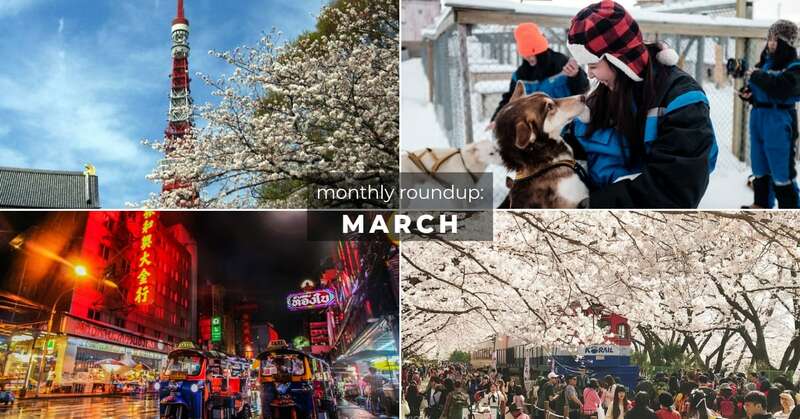 Cherry blossom season is almost upon us! 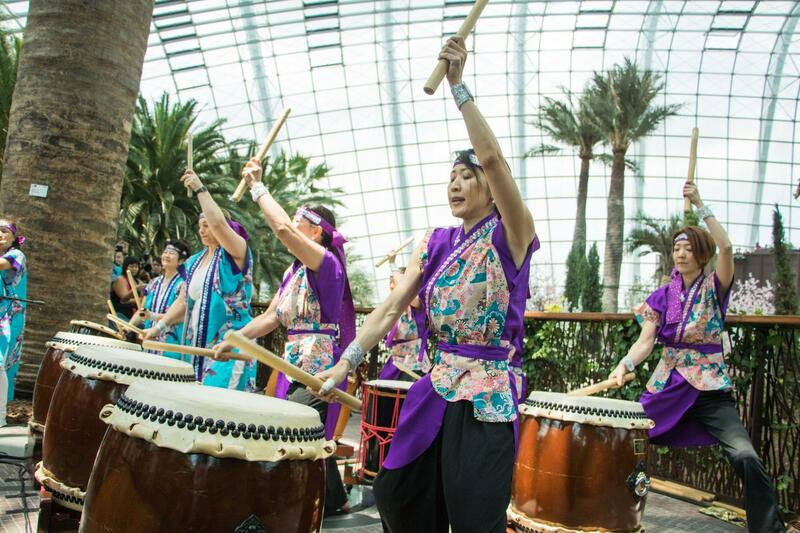 If you can’t make it to Japan or Korea this spring, fret not – Sakura Matsuri is returning to Gardens by the Bay in Singapore. 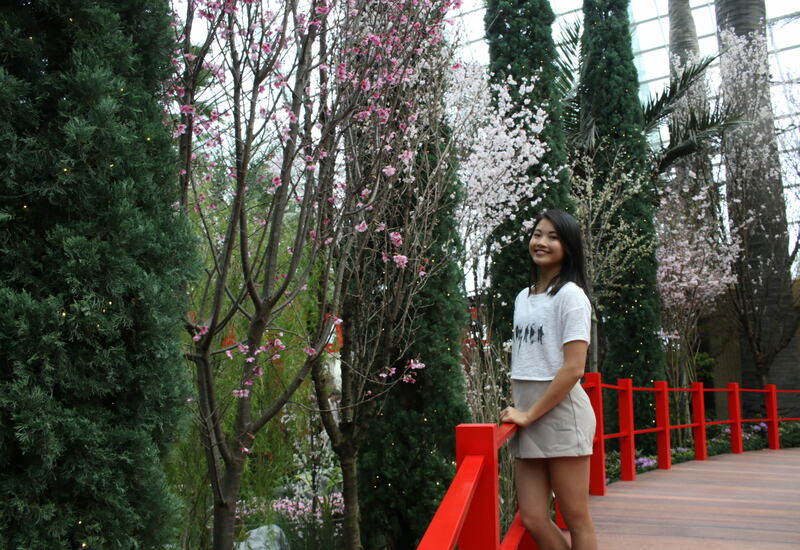 Running from 9-31 March 2019, this special festival transforms the different parts of Gardens by the Bay into a Japanese spring dreamscape. 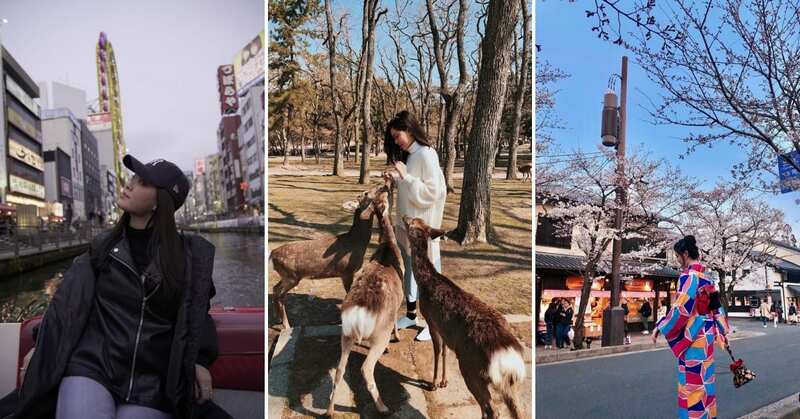 Aside from cherry blossom flower displays, you can experience Japanese street fairs, tea ceremonies, cultural performances and even anime screenings. 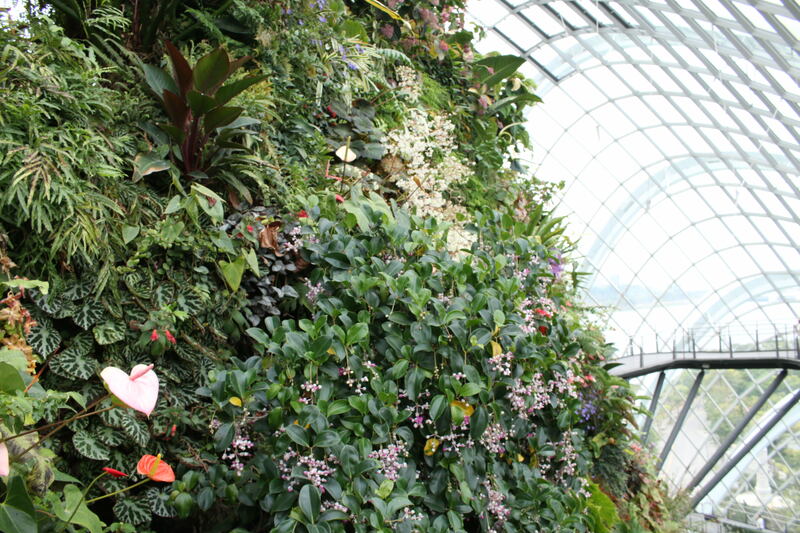 Here’s what to look out for at Gardens by the Bay this spring! 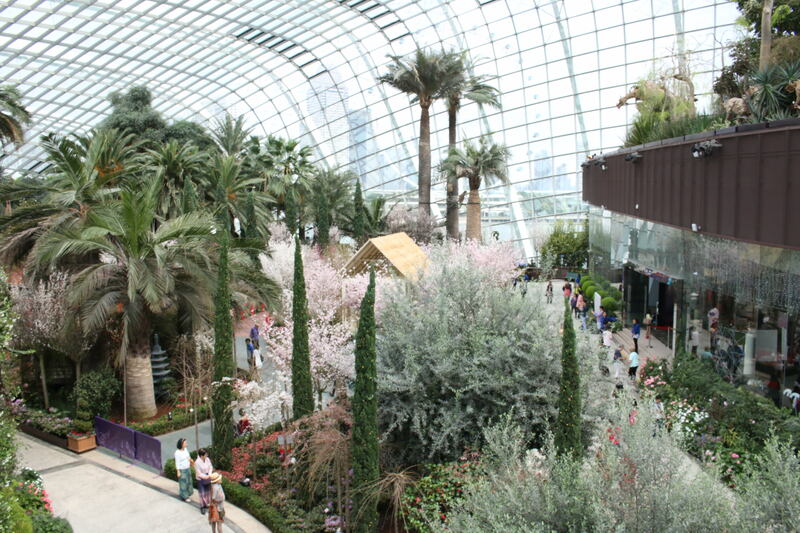 To gain access to the Sakura Matsuri Festival, you’ll need to purchase Gardens by the Bay tickets. 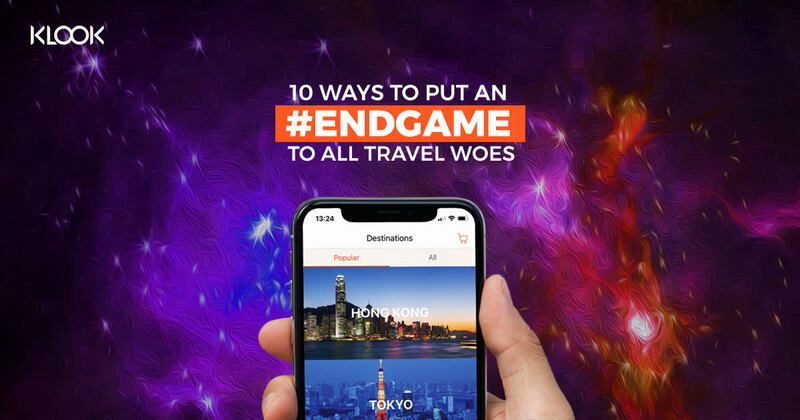 This includes entry to the Flower Dome where the Sakura Matsuri will be taking place, as well as entry to the Cloud Forest. 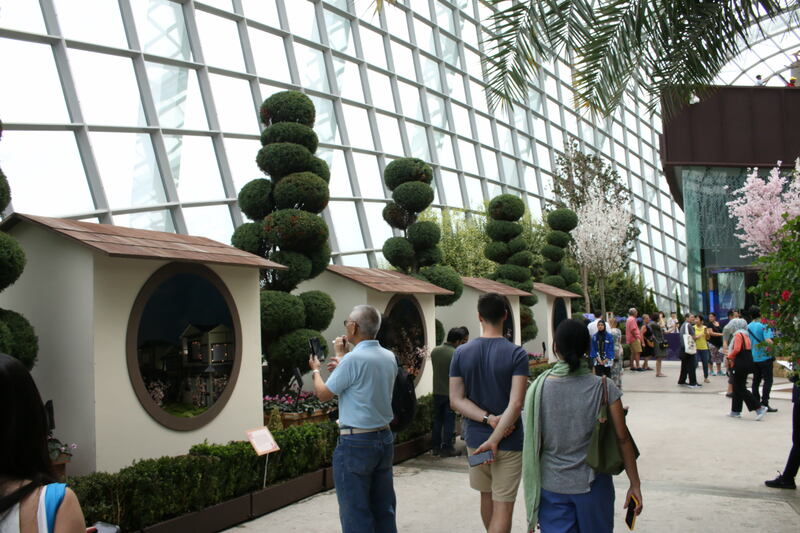 Book your Gardens by the Bay tickets with Klook for $5 off the regular entry price of $28, and to save yourself the hassle of queueing for tickets! 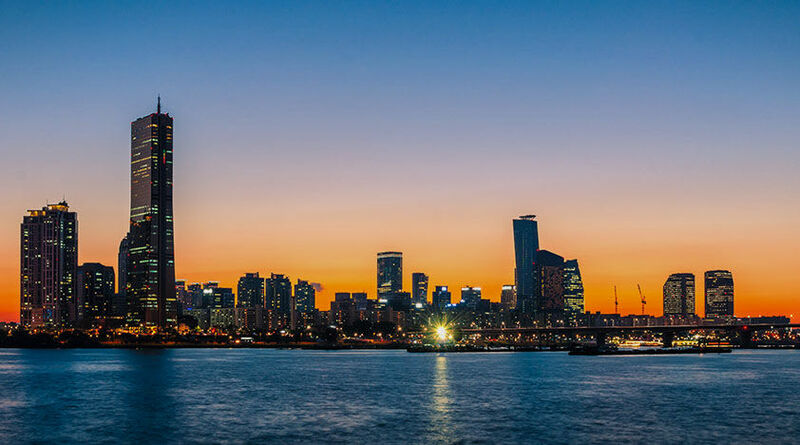 Maximise your time at the bay with special combo packages – combine an afternoon at Sakura Matsuri with an stroll through the OCBC Skyway, or catch a panoramic view of the cityscape from the top of the Singapore Flyer. Once again, the Flower Dome is transformed in all shades of pink and white. 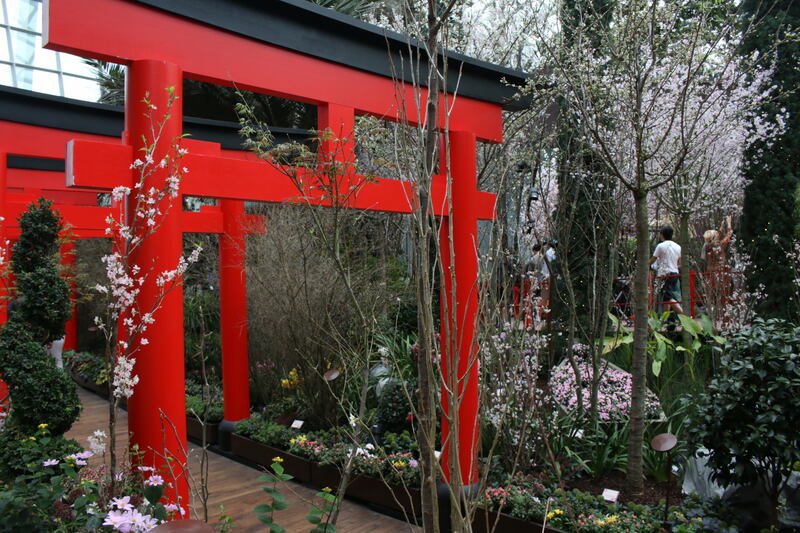 This year’s Sakura Matsuri Floral Display aims to recreate the magic of Japan’s sakura season. 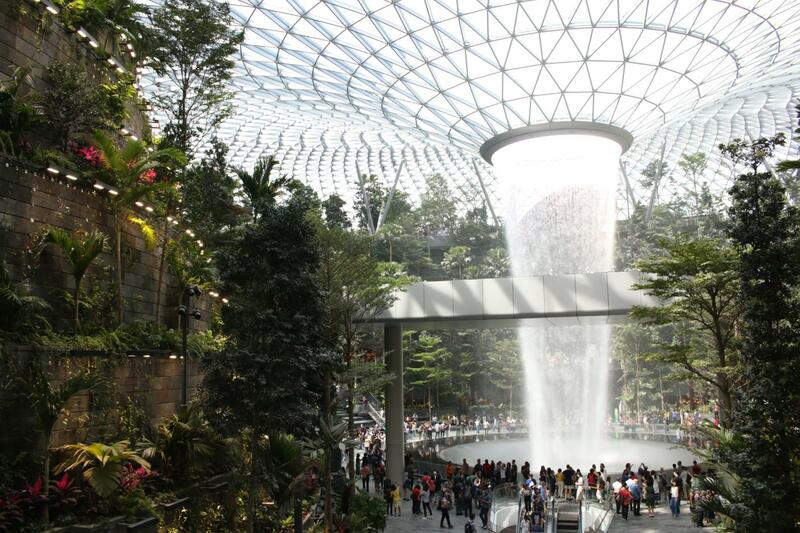 Photo hotspots are bountiful – with over 20 species of cherry blossoms clustered in Flower Dome’s centre. 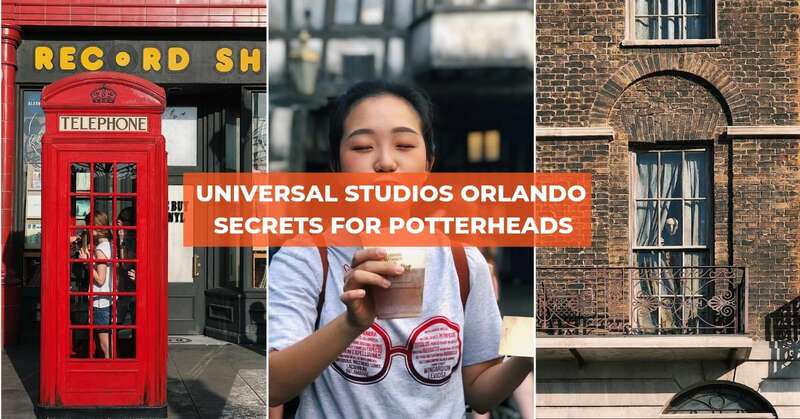 Here’re some of the best spots for photo ops! 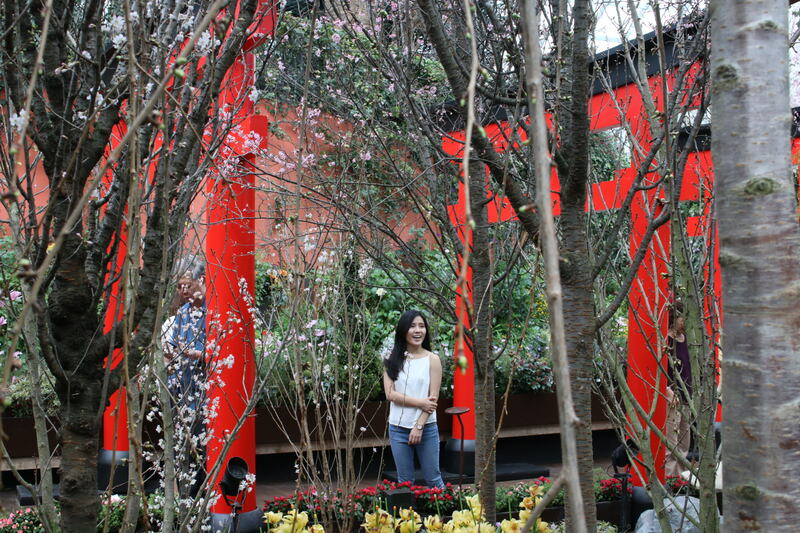 Enter through the life-sized Torii Gates, and walk down the sakura tunnel for a closer look at all the different sakura species. Klook Tip: For a different angle, snap a photo through the trees from outside of the sakura tunnel! Cross over the Grand Palace Bridge that overlooks miniature zen gardens. One of the most iconic features of classic Japanese architecture – used in many traditional tea rooms and houses – marumado windows are intended to frame beautiful natural scenes for the viewer to admire. 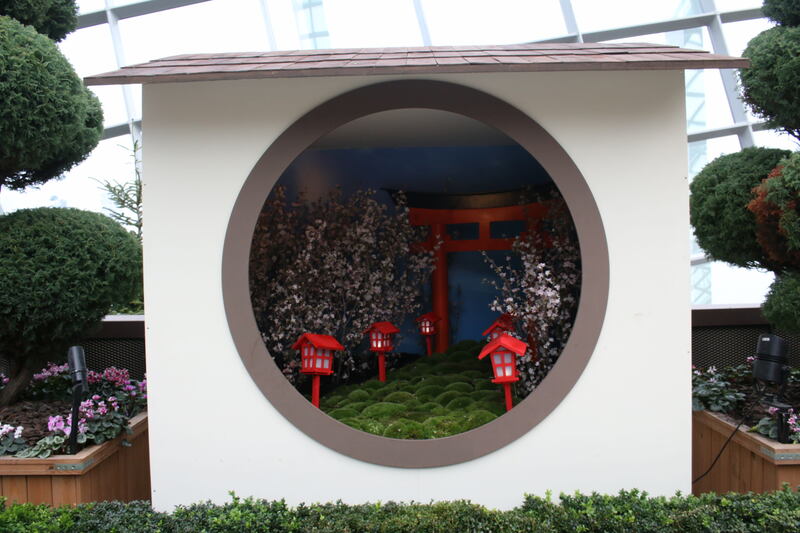 The marumado windows at Sakura Matsuri gives visitors a peak into a scene in miniature – from peaceful gardens to a Shinkansen train passing Mt. Fuji. If you’re curious to learn more about the sakura displays, join the friendly Display Interpreters for a short ASK Me! tour at 11am and 3pm daily. No Japanese festival is complete without a street fair. 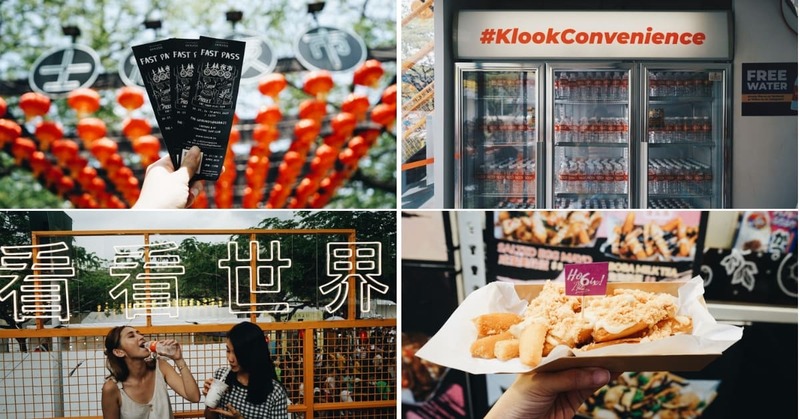 Get a taste of Japan at Nippon Street, with a line up of specially-curated street food stands in the Flower Field Hall. 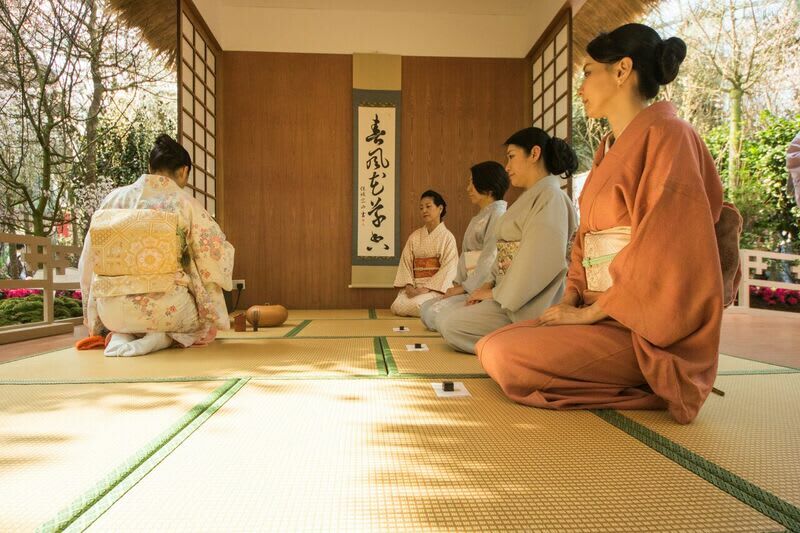 Rent a yukata and try your hand at some traditional festival games, to make the experience more real! 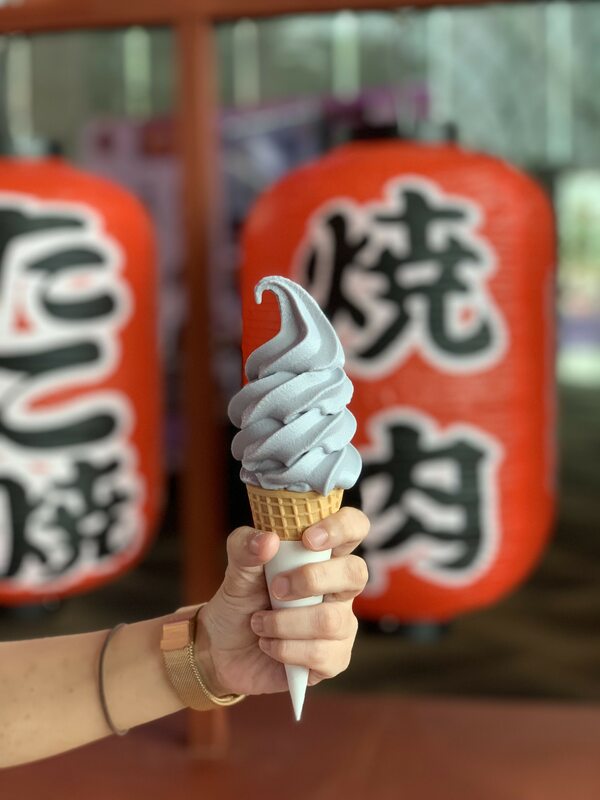 Klook Tip: There’s a stall selling Lavender Hokkaido soft serve for $6 a pop. 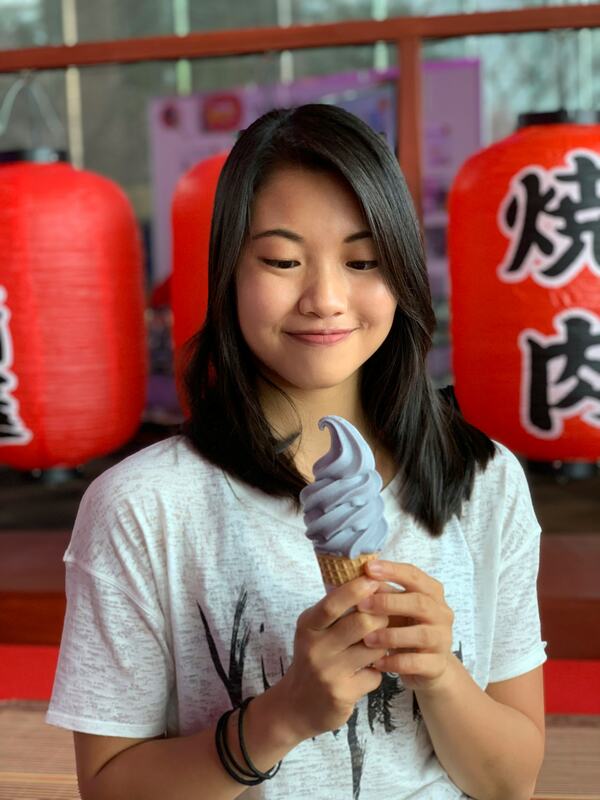 It tastes less milky than most Japanese soft serves, which allowed the subtle lavender flavour to stand out. We’re fans! For a break from the bustle, head to Ohanami Street at the Waterview Room. In this quieter space, you can sample some of the latest instant ramen flavours from Japan, or toast to the weekend at the sake station. 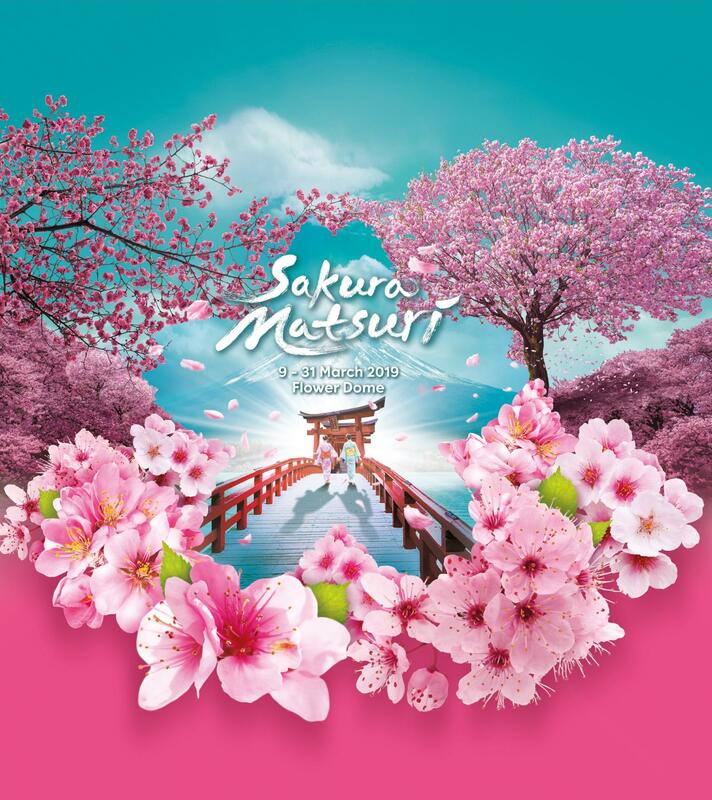 Don’t miss out on this chance to catch the traditional Japanese cultural performances that’ll be put on show throughout the Sakura Matsuri festival. 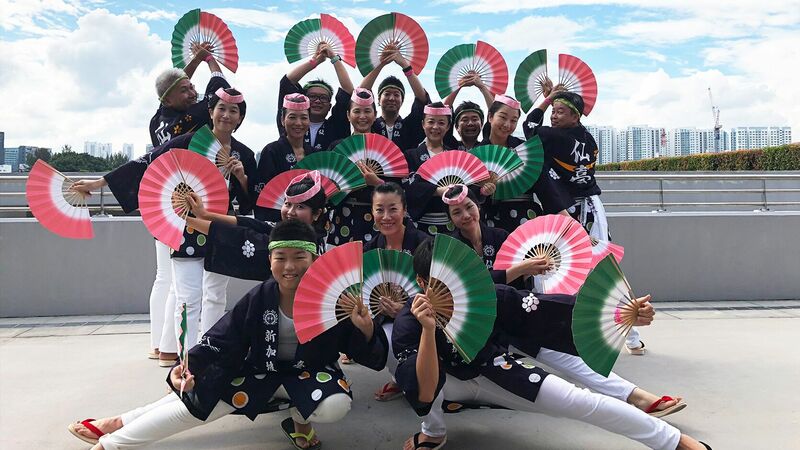 From the widely-performed Sendai Suzume Odori – a dance that incorporates sparrow-like movements and brightly coloured fans – to elegant traditional Japanese tea ceremonies, you can look forward to an incredibly diverse lineup of performances that’ll capture the sakura season’s festivities. 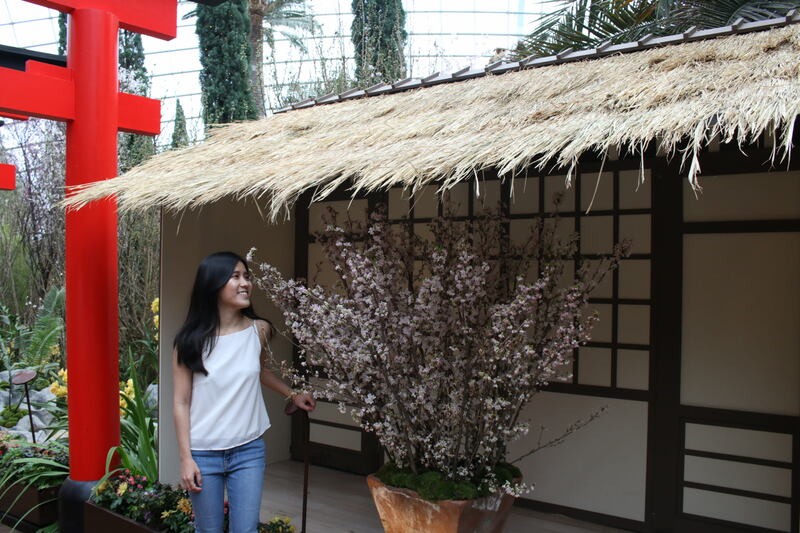 Sakura Matsuri comes complete with a traditional Japanese teahouse, where you can observe tea ceremony displays in close detail. All performances can be enjoyed free of charge for Flower Dome ticket holders. Check out the full schedule of performances here! 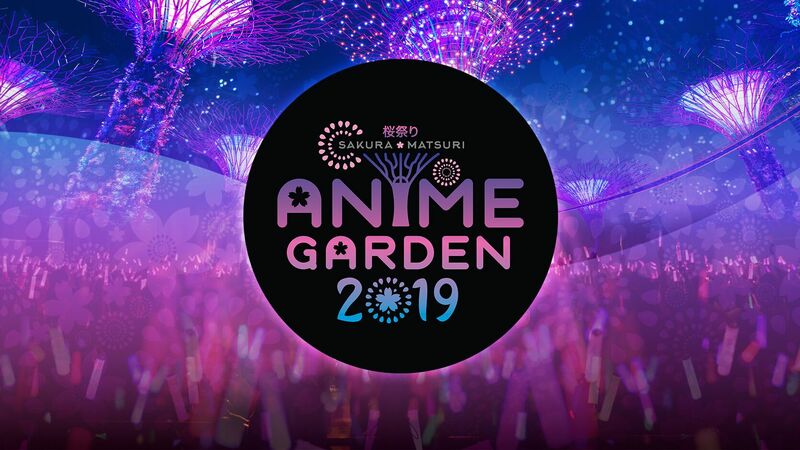 It’s a Japanese pop culture bonanza at The Meadow, with the Sakura Matsuri Anime Garden 2019. 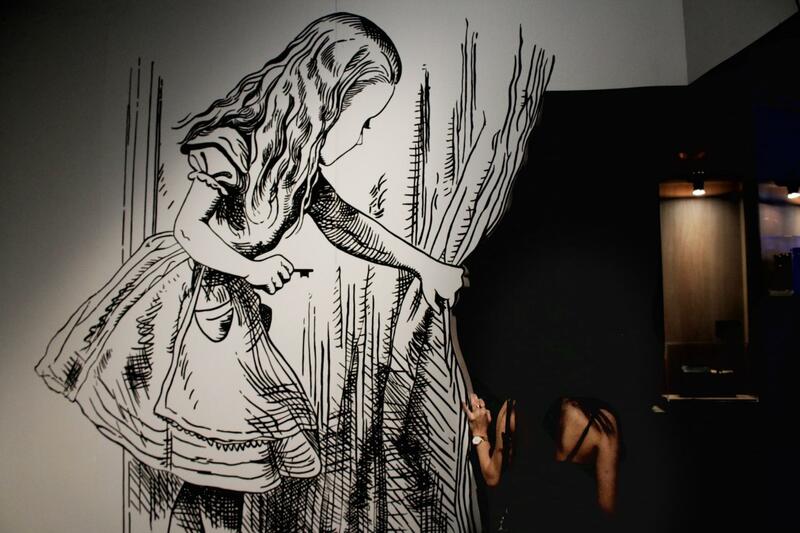 Over the final weekend of March, The Meadow will be transformed into a 2-day anime festival. Bask in nostalgia at the Anisong Concerts, featuring the singers behind some popular anime theme songs, and move along to the J-Pop Performances by local talent groups. For the anime movie buffs, there’ll be an Anime Screening of the latest anime titles to hit the big screen at 9.45pm on both nights under the open sky. Look out for your favourite cosplayers at the Celebrity Cosplayer Meet & Greet – with special appearances from Thailand’s Thames Malerose, Taiwan’s MON, as well as Olivie and Luffy from Hong Kong. There’ll be plenty of opportunities for photo-taking, autographs as well as chances to meet them up close! As a finale to the festival, the Matsuri Marketplace will be set up at The Meadow for all to enjoy. There’ll be a Japanese food bazar, matsuri games, anime merchandise booths and more, from 4pm to 11.30pm on both days. 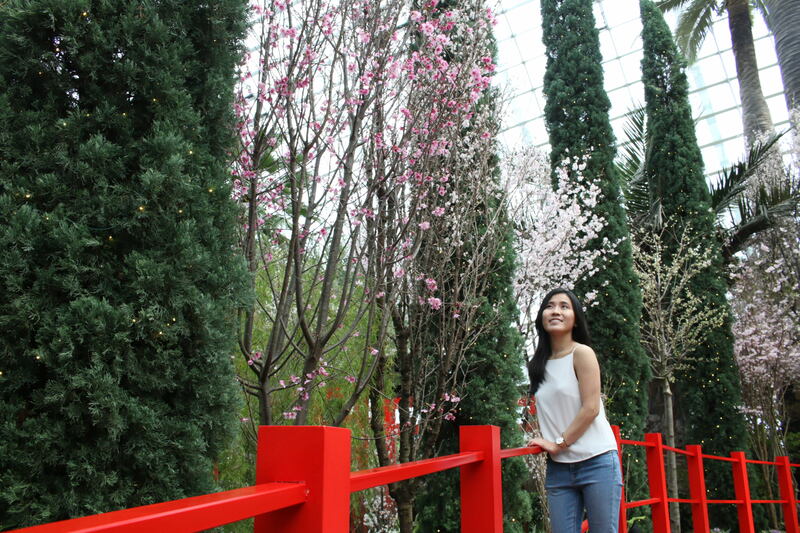 Don’t miss the short but sweet sakura season in Singapore! 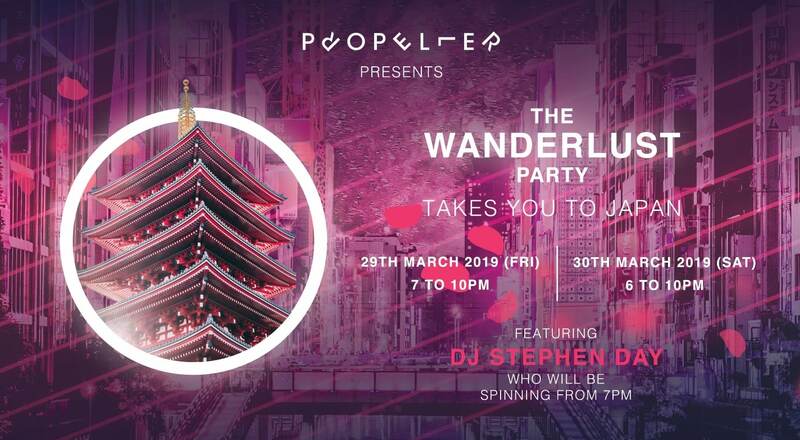 Head down to Propeller Rooftop Bar’s Wanderlust Party for new way to join in the sakura festivities from Singapore. From 29-30 March, you can enjoy 3 hours of free-flow Meiji Shines cocktails, premium sakes, roku gin, highballs, and kirin beer from 7pm – 10pm. There’ll be sashimi, sushi, live wagyu beef carving, mentaiko pasta, vegetable tempura, karaage and more as well. A Sake Masterclass will be held on 30 March, conducted by a professional sake sommelier! 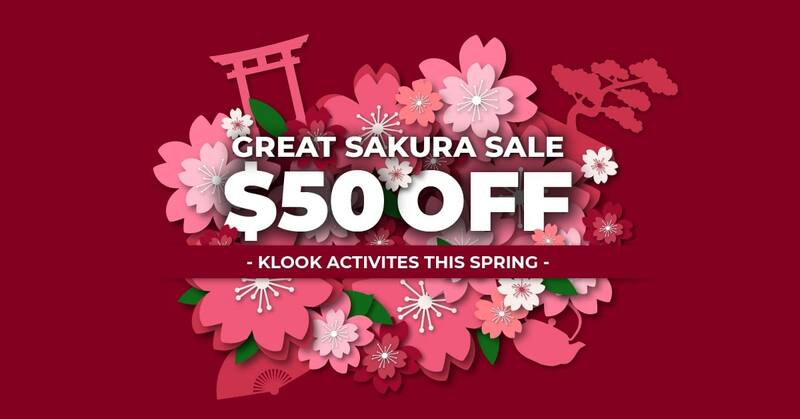 Read on for tips on how to make the most out of the Great Sakura Sale! Next post World’s Largest Starbucks In Tokyo Has Coffee Cocktails, Popsicle Teas And More!